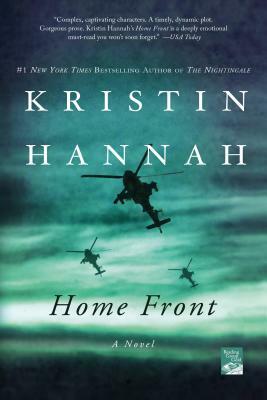 Kristin Hannah tackles the tough issues that surround a family when the Mom, a National Guard member, is sent to Iraq. It begins with a marriage in trouble, then got very interesting when the wife was called up for a tour of duty in Iraq. The details of the deployment and what each family member goes through were fascinating. This is when the book finally captured me. I felt it was very realistic and found it quite moving. Like many couples, Michael and Jolene Zarkades have to face the pressures of everyday life—children, careers, bills, chores—even as their twelve-year marriage is falling apart. Then a deployment sends Jolene deep into harm's way and leaves defense attorney Michael at home, unaccustomed to being a single parent to their two girls. As a mother, it agonizes Jolene to leave her family, but as a solider, she has always understood the true meaning of duty. In her letters home, she paints a rose-colored version of her life on the front lines, shielding her family from the truth. But war will change Jolene in ways that none of them could have foreseen. When tragedy strikes, Michael must face his darkest fear and fight a battle of his own—for everything that matters to his family.